A Word about a Sliding Scale. We are using a Sliding Scale model to make our teaching events affordable for all individuals. A Sliding Scale works only when people truly pay what they can afford. Please keep in mind that generosity, one of the six perfections (paramitas), is at the heart Buddhist practice. By being as generous as we can we enable others to attend teachings that otherwise couldn’t. Holding teachings involves considerable costs, including airline fares, translator fees, accommodation and food. The only way we can continue to bring Buddhist masters to our community is through the practice of your generosity. May all beings benefit! Teachings are available to everyone regardless of ability to pay. If you would like to attend the teachings, but need financial assistance to do so, please contact us. No person should fail to attend for lack of the requested fees. However, it is important that you call or e-mail ahead if you need to make financial arrangements. A limited number of work study positions are available. 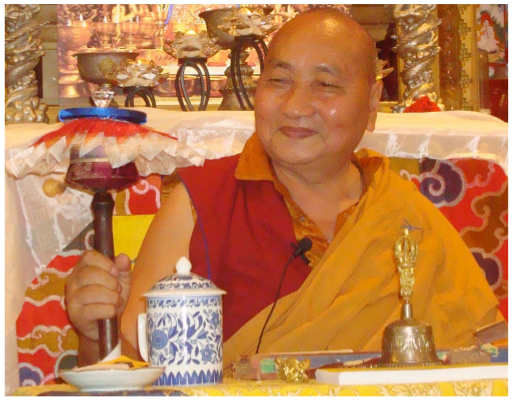 Thank you for registering for these auspicious teachings given by profound yogic master Drupon Trinley Yeshe Rinpoche. We look forward to seeing you! 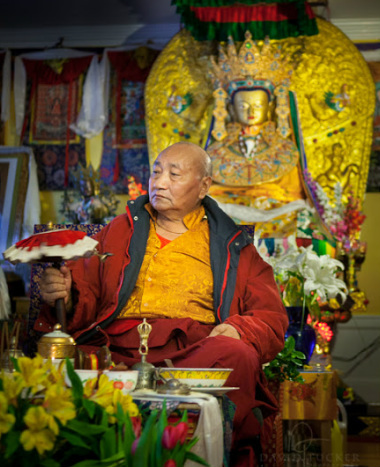 There are three easy ways to pre-register for Rinpoche's teachings. Call us at (505) 401-7340 to use your credit card. * Pre-registration for the teachings is highly recommended. Photo by: David Tucker DTuckerPhoto.com. Select Payment Level Before Clicking "Add to Cart"
You will be redirected to our PayPal page, where you will complete the transaction using your Credit Card or PayPal account. You will return to RigDzin's home page when the transaction is complete!